At least one Instagrammer apologized after commenters pointed out the potential harm of breaking the rules. 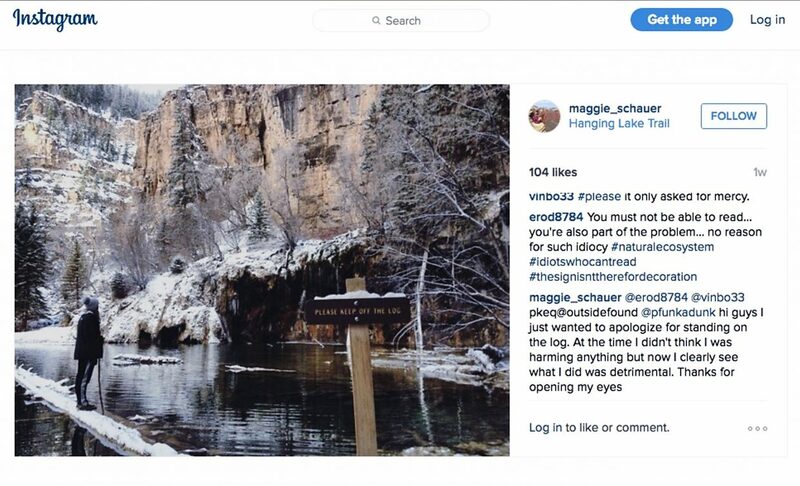 As the Internet and social media have contributed to record crowds at Hanging Lake, they may also be the key to educating visitors on how to treat the fragile attraction. 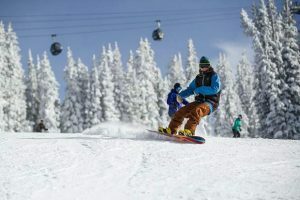 At least that’s what Aspen Trail Finder founder Preston Files suggests in a recent blog post that focuses on one of the most flagrant violations: walking on the log. It’s conceivable that someone can overlook the rule against dogs or write off the warnings that the rough 2.4-mile round trip is no cakewalk. It’s harder to imagine missing the polite sign right at the base of the log, which has jutted out into the lake for as long as most folks can remember. “It just gets kind of frustrating to see repeated flagrant offenses,” Files said in an interview. Quite aside from the fact that climbing out on a rotten old log is likely dangerous and tends to ruin everyone else’s photos, it’s a good way to end up in the water. That, in turn, is an excellent way to damage the travertine that supports the lake and gives it its lovely color. Unfortunately, it’s an almost irresistible photo opp. It doesn’t help that many visitors may have been inspired by just such a picture. From Instagram and Twitter to travel blogs and even Outside magazine, the image is everywhere. That’s where Files decided a little polite, educational public shaming might do some good. To that end, Files linked readers to some prominent violations on Instagram. Several users have since deleted the posts, one has apologized, while others appear to simply be ignoring or even deleting the comments. 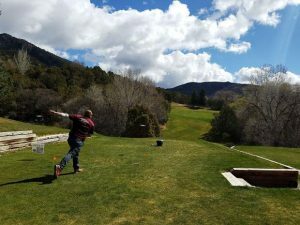 The Glenwood Springs Chamber Resort Association has used a similar tactic with organizations instead of individuals, with some success. What people learn online is important, Langer said, because the crowds are only growing — topping 100,000 visitors last year, according to the Forest Service — and many have misconceptions. That would certainly explain how so many people end up attempting the hike without proper footwear or gear, and provides some insight into the tourist who called to inquire about canoe rentals. Just last week, a group in light clothing had to be rescued near the icy top of the trail. It’s hard to stay ahead of the problems. Last year, Garfield County and the City of Glenwood Springs covered costs for a pair of rangers to keep order on peak days at the rest stop 9 miles east of Glenwood Springs that serves as the trailhead. Without their supervision, visitors park on the grass and in fire lanes while traffic backed up out of the exit. The same plan will be in place this summer, but it’s unlikely to make a lot of difference beyond the parking lot. 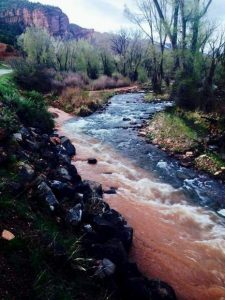 According to trails coordinator Kay Hopkins, the Forest Service has also applied for a Colorado Parks and Wildlife Grant in hopes of paying for two more rangers to work in the trail itself and interact with visitors. The Forest Service is also working with the Volpe National Transportation Systems Center to come up with long-term solutions at Hanging Lake. They’ve already conducted capacity and alternative transport studies, with public scoping planned for the summer. The public will have a chance to comment on the process, with solutions hopefully starting to take effect in 2017. 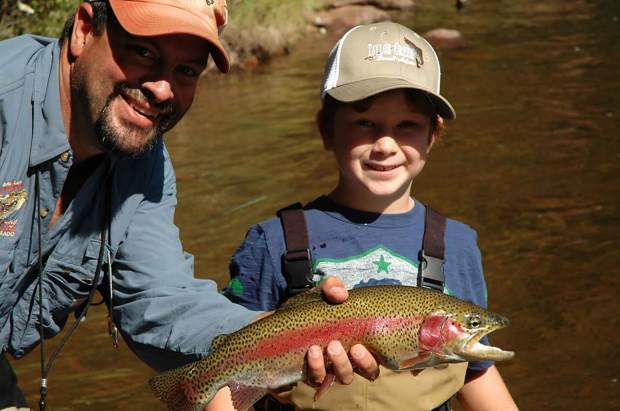 While government action takes time, community action can happen right away.